A garage door secures your vehicles, as well as the entire house. This is why it’s crucial that it’s always in top condition. Any issue on the door not only causes inconvenience, but may cause your property to be an easy target for intruders. Reliable garage door emergency services helps ensure that any concerns you encounter with your door are taken care of immediately. This will save you from the hassle of having to deal with a malfunctioning door. 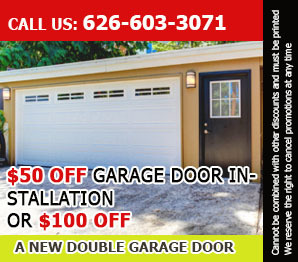 You can count on our swift technicians at Garage Door Repair Covina for any issues you face with your overhead door. Call us right away so we can deliver the best solutions. Delaying the repair only worsens the situation. Furthermore, you’re placing your safety and security at risk since the door could fall anytime or burglars may gain easy access. When you call, our friendly representatives will readily be there to answer. Let us know about the specific problem you’re having so we may arrive right away to provide the appropriate garage door emergency services needed for your specific situation. You don’t have to wait for days to have the issue fixed, as our emergency service promises that your problem is solved as soon as possible. Some of the specific concerns that we assist you with are broken springs and cables, malfunctioning door, and programming. Our world class team is experienced and trained working with all brands, including Genie, Chamberlain, Stanley, and Liftmaster. Moreover, we offer unmatched emergency services on door openers. Whether you have a chain drive, screw drive or belt drive garage door opener, rest assured that we perfectly care for them all. Garage Door Repair Covina offers scheduled repair, installation, and maintenance both for doors and openers. Call us or send us an e-mail for your inquiries or if you need our help.